While I’d love to get back on my regular routine, I’m actually heading out of town again on Thursday! This time I’m off to Port Aransas for a casual weekend at the beach with my family. There will be lots of fishing, food, and hopefully some fun in the sun. What does everyone else have going on this week? That cushion is amazing, I’m loving leaf prints at the moment. loving the green bag! actually all the colors it comes in. looks like a great size! Omg that Gucci bag!! Obsessed. This is such a fun color! Tory Burch knows how to make pieces that stand out. 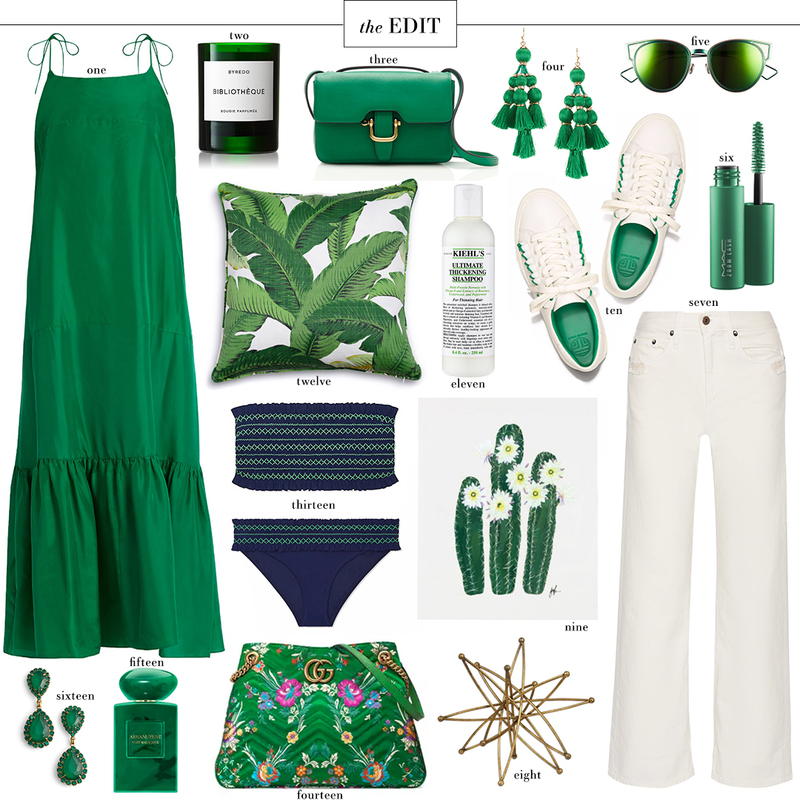 I am inspired to wear an all emerald green outfit.